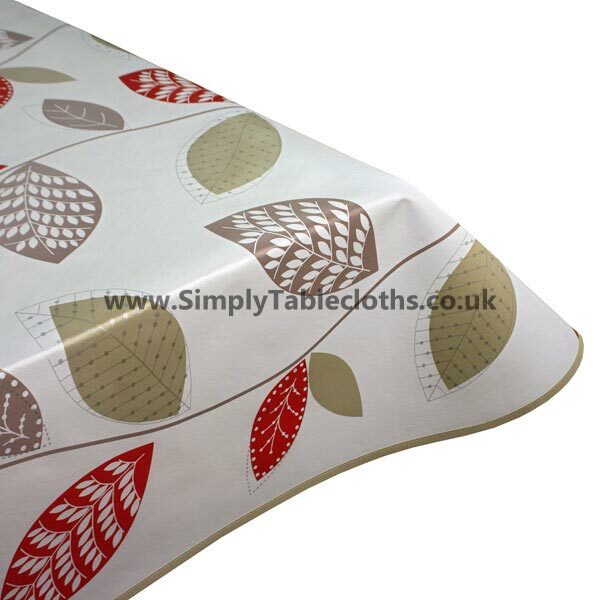 Tap into nature in a stylish way with this leaf print vinyl tablecloth. The brown colour is neutral, while the red pops against the pristine white background. Fun and trendy, this tablecloth is perfect for a modern home. The wipe clean surface allows you to take care of any mess without the hassle.